"I've seen the evidence. And I want the government to prove they're serious about climate change by negotiating a strong, effective, fair deal at Copenhagen." Do you see anything wrong with the pie chart in this video? I hope so. Over at Dwindling in Unbelief Steve takes a look at Judges 19. Can anyone explain why this story made it to the final cut? "When he was a small boy, Diarmaid MacCulloch's parents used to drive him round historic churches. Little did they know that they had created a monster, with the history of the Christian Church becoming his life's work." UK residents can get all four episodes to date on the iPlayer here. If not you will have to find somebody who has mastered the use of iplayer-dl to send it to you by other means. The Washington Post has an interesting comment piece on whether we can be good without god. There's a diversity of opinion, much of it religious. Some of it even says that I can be good as an atheist because of god. ".. it is the myth that religious belief is somehow necessary for morality that is providing the life support for religion in many Western societies, long after we should have been reaching for the embalming fluid. " The question of whether there is an absolute morality is an interesting one, indeed organised religion has changed its rules of morality over the years, mainly to fit in with accepted norms. Religion can teach good morals, however there are a large number of secular people who do far better at behaving well. It seems that there's a crowd out to ban Sharia law again. Thankfully the Gaurdian seems to have the right idea. In the UK we are all subject to UK law. Period. It doesn't matter what religion or cult your belong to, or whether you belong to none at all. If you want to live your life by additional rules that don't conflict with our national law, then do so. As long as I don't have to live under your additional rules, and your additional rules don't conflict with the law of the UK, have whatever rules you wish. 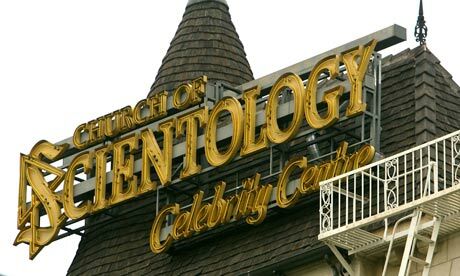 In another recent Guardian article pseudo-religion and business, Scientology, seems to be coming under attack. One of its great legal minds has died, it has been convicted of fraud and nearly banned in France, and moves are afoot in Australia to give it a good probing. ....but thankfully Guardian Unlimited has some useful advice that follows the current 'Don't Label Me' theme. 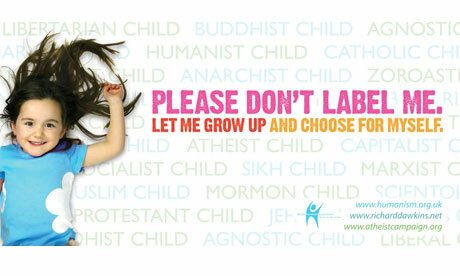 The Times today claims that the children fronting the Don't Label Me campaign are Evangelical. They are not, they are too young, they are the children of evangelical parents. 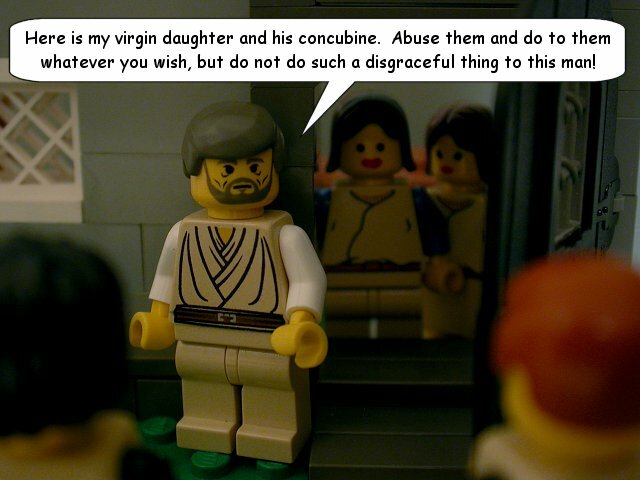 we can't hold that against the children. The reason these children seem so happy has absolutely nothing to do with the fact they "are" Christian. It is ridiculous to make such a claim. The photographs just happened to be from a photo library. A while ago the atheists took the war against religion to the sides of London buses. Then the Christians retaliated. 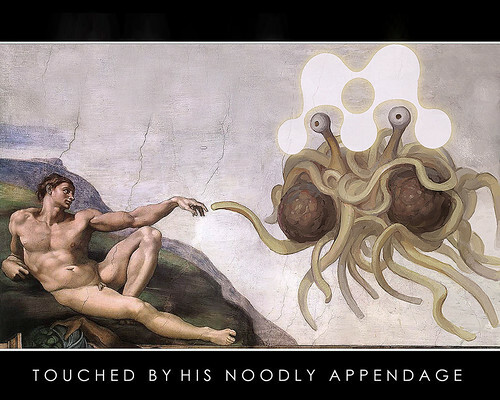 Now the ball is back in the atheists' court. The new campaign (reported by the BBC) aims to challenge the idea that children can be labelled with their parents beliefs. Which is a good thing to challenge. Freedom of thought goes alongside freedom of speech as being pretty important. This is the last part of Ariane Sherine's project, and her Guardian piece on this campaign is found here: Hey, preacher - leave those kids alone. I recently wrote a post on my personal blog about why like Mendeley. It has been bought to my attention that this may be due to the following reason. To the tune of More Than A Feeling. Thanks to Evolving Thoughts. OK, Halloween is a fraud. There are no dark or evil spirits, just a chance to have fun, increase the rate at which children become obese, and get something tasty off of the old woman who wakes you up to the sound of Radio 4 every morning. Except that the woman who wakes you up at such an ungodly hour is actually a mental, Halloween-hating Christian. Now the evidence for the dark side and the godly is equally scant, so I can only assume she uses one set of fairytales that encourage murder to stop my childhood self using a different set of fairytales to ask her for chocolate. In fact she's almost as big a killjoy as the Mayor of Nuneaton, who for religious reasons refused to judge a pumpkin carving competition. We all know Halloween isn't Christian (some of us now Christianity isn't real either) - but as a mayor refusing to do something that pulls your community together is just wrong.